Scientists using data from NASA’s Kepler mission have confirmed the first near-Earth-size planet orbiting in the habitable zone of a sun-like star. The habitable zone is the region around a star where temperatures are just right for water to exist in its liquid form. 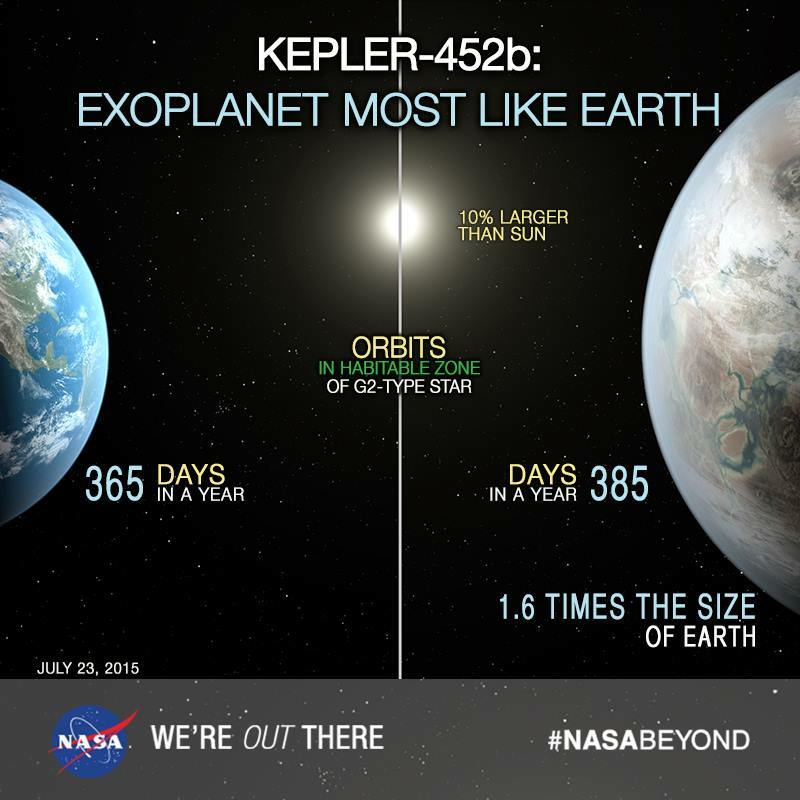 The artistic concept compares Earth (left) to the new planet, called Kepler-452b, which is about 60 percent larger. The illustration represents one possible appearance for Kepler-452b — scientists do not know whether the planet has oceans and continents like Earth. Both planets orbit a G2-type star of about the same temperature; however, the star hosting Kepler-452b is 6 billion years old, 1.5 billion years older than our sun. As stars age, they become larger, hotter and brighter, as represented in the illustration. Kepler-452b’s star appears a bit larger and brighter.